Panasonic GH4 is finally available 4 Pre-order, the world first mirrorless camera that can record 4K video at 24p, other available recording options are UHD 4K 3840×2160 at 30p/24p and Full HD up to 60p videos with variety of formats include MOV, MP4, AVCHD Progressive, and AVCHD. In MP4 / MOV, high quality LPCM (Linear Pulse Code Modulation) sound can be recorded. On still side we have a 16.05 MP Digital Live MOS Sensor with a ISO range upto 25600, the camera have 49 point contrast detect AF system and shoot bursts of 12 fps in AFS mode. The body is made by Magnesium Alloy, A splash and dustproof design suitable for all type of weather conditions. 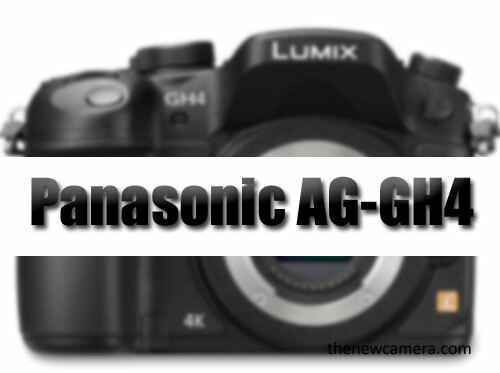 The long rumored panasonic GH4 announced today the camera features 4K recording option, thanks to the newly optimized 16 Megapixel sensor and advance Venus Engine IX processor, the camera can record 4K OR Quad HD (3840 x 2160) at up to 29.97p and ‘Cinema 4K’ (4096 x 2160) at up to 24p. The camera also features newly decloped high-precision Contrast AF system – DFD (Depth from Defocus) technology with High-Speed 49-Point Autofocus, that takes approx 0.04 sec to lock down AF under normal condition. Other fetures include built in WiFi and NFC, RAW data development in Camera: The DMC-GH4 is capable of developing RAW image in camera. Panasonic is proud to introduce an ultimate photo/video hybrid Digital Single Lens Mirrorless (DSLM) camera DMC-GH4 for the successor of DMC-GH3 that created an industrial sensation with its outstanding video recording performance. The image quality for both photo and video is dramatically improved by crystallizing Panasonic’s cutting-edge technologies. The newly developed 16.05-megapixel Digital Live MOS Sensor for DMC-GH4 excels both in sensitivity and response and suppresses rolling shutter effect even when using electronic shutter or recording motion image. The image processor Venus Engine is also newly developed dramatically boosting its performance with new quad-core CPU that lets high speed signal processing required for rich video recording such as 4K. Integrating superior noise reduction systems, DMC-GH4 enables shooting at max.ISO25600. Sensitivity, gradation performance, resolution and color reproduction are dramatically improved to achieve even higher picture quality. The DMC-GH4 boasts high speed burst shooting at 12 fps(AFS) up to approx.40 (including RAW) / approx.100 (excluding RAW) and 7.0 fps (AFC) to capture fast moving subject just in-focus. capable of recording Full- HD video with ultra high bitrate at 200 Mbps (ALL-Intra) or 100 Mbps (IPB) without recording time limit*1. Users can freely choose the format from MOV, MP4, AVCHD Progressive and AVCHD at a variety of frame rates according to the usage. For the global business of professional users, the system frequency can be flexibly selectable between 59.94Hz (23.98Hz) / 50.00Hz / 24.00Hz. The DMC-GH4 is also capable of real-time image output to the external monitor via an optional micro HDMI cable simultaneously while recording video. For more unique video expression, VFR (Variable Frame Rate) or Time Lapse/Stop Motion Animation can be produced with DMC-GH4 without postproduction process. In addition, a variety of practical functions required for professional video recording are newly integrated. thanks to the addition of Face / Eye Detection AF or 49-point AF with Custom Multi AF mode. *1 — Motion image can be recorded up to 29 min 59 sec depending on the recording format and the camera’s sales area. *2 — Use SDXC/SDHC Memory Card compatible with UHS Speed Class 3 (U3) when using high bitrate video recording mode over 100 Mbps. *3 — In AFS, With LUMIX G VARIO 14-140mm / F3.5-5.6 ASPH. / POWER O.I.S. or LUMIX G X VARIO 12-35mm / F2.8 ASPH. / POWER O.I.S. *4 — Panasonic in-house examination. improves color reproduction with accurate evaluation of each color even it is similar not only in color phase but also in saturation and luminosity. Plus, the VFR (Variable Frame Rate) enables recording video with slow/fast motion such as 96 fps, 4x, all in Full-HD[Figure#2]*4. Time Lapse/ Stop Motion Animation video can be produced in camera, too. For more precise control over video image quality, the DMC-GH4 integrates Zebra Pattern to watch white wash-out or Focus Peaking. The DMC-GH4 even allows Master Pedestal system is newly integrated with which users can adjust the brightness balance ±15 steps based on the color of black. Gamma presets exclusively for video recording are newly available in Creative Video mode – “CINELIKE D” and “CINELIKE V” for rich video expression like a cinema. Synchro Scan mode is also newly availableto reduce suppress flicker. It is selectable to display Center Marker while recording. * 1 — Motion image can be recorded up to 29 min 59 sec depending on the recording format and the camera’s sales area. *3 — Setting the HDMI output picture quality [4:2:2 10bit]:You can output the image through the HDMI connection in higher picture quality, but you cannot record it as a motion picture or still pictures. Ideal when the HDMI output is to be saved on external devices. [4:2:2 8bit]:You can record the image while outputting it through the HDMI connection. Ideal for recording while checking the motion picture on an external monitor. When using 4:2:2 / 8-bit output, video is recorded in 4:2:0 / 8-bit on SDXC/SDHC Memory Card. *4 — In 24p playback. Effect value varies depending on the recording format and frequency. All cameras of LUMIX G adopt Contrast AF for its focus system. Compared with the Phase difference system AF, the Contrast AF boasts higher accuracy especially in shooting with bright lens with small F value. With the LUMIX G digital interchangeable lens capable of digital signal exchange at max. 240 fps, the focusing is stunningly quick and smooth. The Contrast AF system in the DMC-GH4 is furtherenhanced by Panasonic’s integration of DFD (Depth from Defocus) technology which even shortens the time to set focus. It figures out the distance to the subject by evaluating 2 images with different depth of field while consulting the data of optical characteristics of the using lens in a moment. As a result, the DMC-GH4 achieves ultra high speed AF of approx.0.07 sec*. This improvement benefits more as focusing distance increases. The speed of burst shooting is dramatically faster than the predecessor DMC-GH3, boasting high speed burst shooting at 12 fps (AFS) up to approx.40 (including RAW) / approx.100 (excluding RAW) and 7.0 fps (AFC) to capture fast moving subject just in-focus. In AFS, With LUMIX G VARIO 14-140mm / F3.5-5.6 ASPH. / POWER O.I.S. or LUMIX G X VARIO 12-35mm / F2.8 ASPH. / POWER O.I.S. To be tough enough to withstand even heavy field use, the main structure of the DMC-GH4 is composed of magnesium alloy full diecast front/rear frame. It also features splash / dustproof construction thanks to the sealing onto every joint, dial, and button. The shutter unit is also redesigned to be even more durable for approx. 200,000 times release*. It offers highest shutter speed at max. 1/8000 not only to capture spur-of-the-moment of fast moving subject but also to use high-speed lens with open aperture even in outdoors to give impressive defocus. Both built-in/external flash can be synchronized with max.1/250 second shutter speed*. switch even allows more precise sound recording with selectable Super Shotgun / Lens Auto / Manual option on DMC-GH4. Just as the concept of “ultimate hybrid Digital Single Lens Mirrorless camera” identifies, the DMC-GH4 supports smooth postproduction for photographers newly challenging videography. In addition to the standard luminance level of 16-235 and 16-255, DMC-GH4 offers 0-255 which is equivalent to photo standard (16-235, 16-255 and 0-255 are all 8-bit). Photo Style, Intelligent D-range Control, Intelligent Resolution can also be applied. Panasonic newly offers an Interface Unit (DMW-YAGH) exclusively for professional/industrial workflow with the DMC-GH4 that enables more powerful video transmission. It complies with Full HD (4:2:2 / 10-bit) four parallel outputs and these can be used for 4K (4:2:2 / 10-bit) output – both with time code*1. The XLR input terminals (2ch) are also equipped to connect line or condenser microphone. When connecting with microphone, volume can be controlled for L and R separately, which can be monitored LED audio level display on the back of the unit. The 12V DC IN is highly compliant with large-capacity industrial battery and continuously supplies the DMC-GH4 with power*2. *1 — Setting the HDMI output picture quality [4:2:2 / 10bit]: You can output the image through the HDMI connection in higher picture quality, but you cannot record it as a motion picture or still pictures. Ideal when the HDMI output is to be saved on external devices. When using 4:2:2/10-bit output, simultaneous video recording onSDXC/SDHC Memory Card in the camera is not possible. * 2 — HDMI output from the camera is not possible when the camera is mounted on the Interface Unit. cause recorded images to be erased so do not choose to format.) If the card is not recognized, please refer to the below support site. it would infringe upon the rights of the copyright holder. Panasonic finally announced the GH4 camera, the camera features 4K recording optipon and features nelwy developed 16 Meghpixel 4/3 Format Sensor and Venus Engine IX processor, the new processor is capable of processing 4K videos. The GH4 also uses newly developed AF system called ‘Depth from Defocus’, the AF speed is reduced to 0.07 sec only, on the rear side we have 3″ 1.04M dot fully articulating OLED display and 2 million dots EVF. we may also see some new compact machines like compact M4/3 camera (GM2?) with improved specification + New telephoto zoom lenses also coming. – If it is a story to put the power up there, next I’ll can also shoot 4K? I will want asked. Has been rumored, such as “I am GH4K next year” on the net already, but when I do a camera capable of shooting (laughs), the 4K, because they’ve been declared already, is not it bad in “the year after next” it. So I will not be enough for the next year. – Story of next year came out, but it was in was completely new product line in the form of facing the camera culture over the past year. In Do you set a concept of what the camera making a year in the future? Because it has been re-developed the product line to keep running all the way this year, including such as 4K and communication, a new element, the user layer suitable for each, each product is, features that meet the needs properly now like to go with, and then a year to go digging deep the function of each product. What direction? And say, user layer is different depending on the product, respectively, from how to use is different, approach of improvement will also change. to expand the width of the frontage, some will want to delve into the different products. – I’m on the outlook of their respective this, but how can from the camera of the smartphone the quality of the experience is different, and interest to the camera stand-alone? You are trying to deepen ties with smartphone and polished the companies Wi-Fi function, sophistication still want a little more. I think GM of the latest model, too, is the need for improvement still with respect to Wi-Fi feature indeed. I think it is necessary to increase the sophistication for integration with smart phones continue. In the future, I believe takes a little time yet, but will be able to connect to the cloud camera itself using the communication network of the mobile phone.